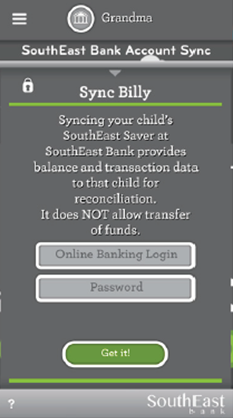 Kids can have better access to tracking their own account balances and savings goals with Banker Jr. Account Sync! 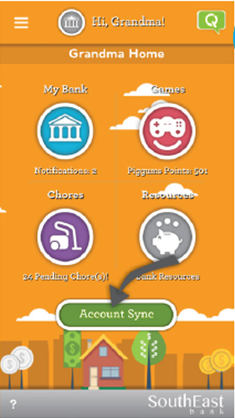 With Banker Jr. Account Sync, kids can go beyond the game to monitor their real-life savings and spending goals. 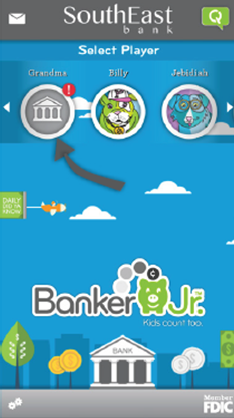 Parents can link the Banker Jr. app to an actual bank account, such as the SouthEast Bank Milestones Savings account, and help their kids understand the connection between their financial habits to their financial goals. Don't worry, though - Account Sync offers read-only access to balance information, so your junior saver won't be able to move or spend actual money through the Banker Jr. app. 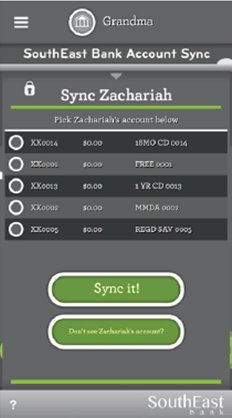 How to Sync a SouthEast Bank Account Using Banker Jr.
Log into Banker Jr. and sign into the parent section. Click the Account Sync button on the Parent Home screen. 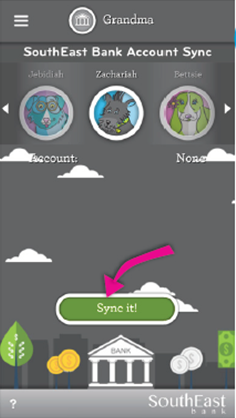 Select the child for which you would like to sync an account and click Sync it! Select the account that you would like synced with that child. Wait for the account to sync. This can take up to 10 minutes. Select the child and click on My Bank on the Child Home screen. Click the Reconcile button on the My Bank screen. 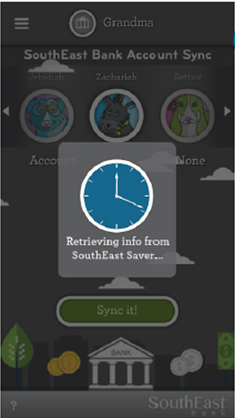 Reconcile the SouthEast Bank account with the app.